In hour 1 of this series we learnt to get started with AngularJS. In hour 2 of this series we learnt about AngularJS Template. In hour 3 of this series we learnt about two way bindings and filter. 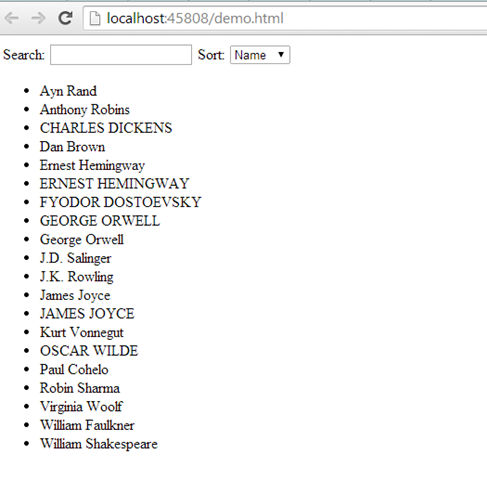 If you are following this hour series on AngularJS, you might have noticed that we are using local data for authors. Using Services in AngularJS, you can call a remote service. Here we are going to call a HTTP based (REST Service) service. 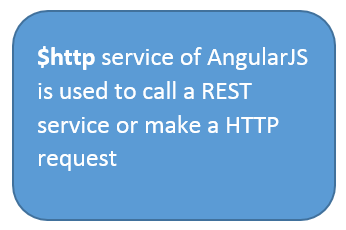 You can use $http of AngularJS to call a remote service or to make a HTTP request. So in controller we need to modify to make a call to the service. In below example service is returning JSON. $http service returns promise object having success method. In this method service response will be handled asynchronously. Parsing of returned data is done by angular. As you might have noticed that to use a service we need to pass service as dependency in the constructor of Controller. Injector pass singleton instance to controller of service. In this case Angular dependency injector will check whether $http service singleton instance is passed to AuthorController or not? We learnt how easy it is using Angular service to make a HTTP request. We also learnt about using Angular service like $http in application. Happy coding. I might have missed a step here, but where did you get the HTTP feed / service? If it’s hosted on LocalHost, would you mind sharing the code that created the service, or a pointer to one on the web. Can you also update on how parameters can be passed on to a POST call ?